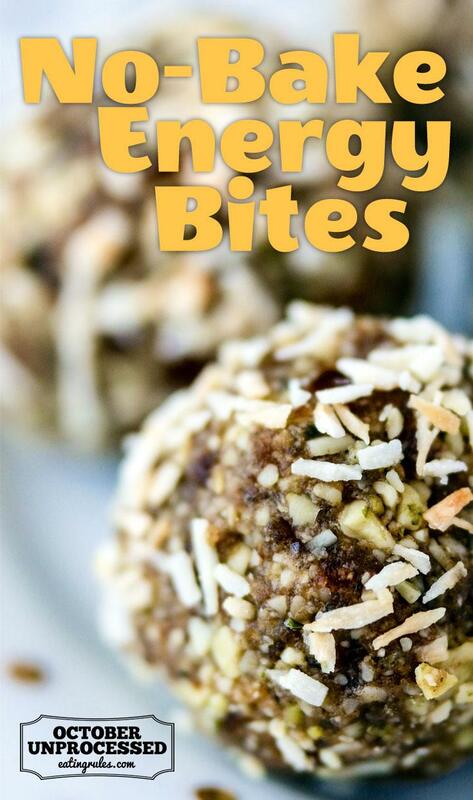 Energy Bites are no-bake cookies made with healthy ingredients like nuts, seeds, coconut, and dried fruit. They’re so easy to make in a food processor, and they are great for travel snacks or packable lunches. 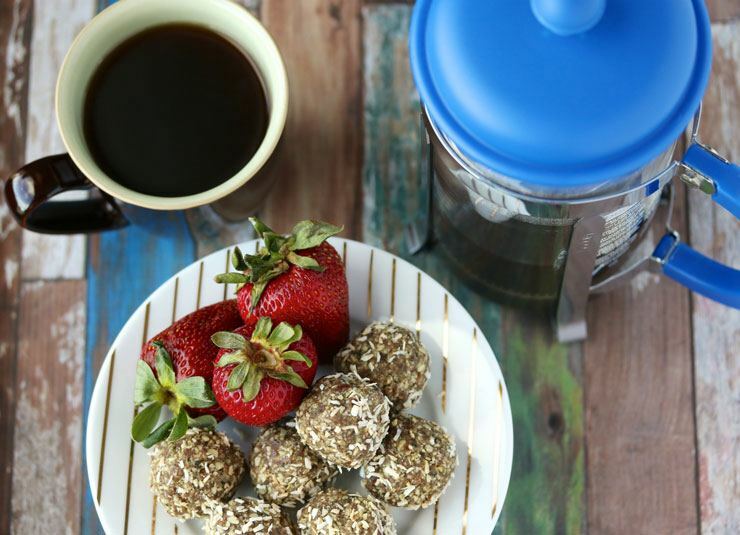 In addition to being a healthy and satisfying snack, energy bites are easy to make, and are great for kids and adults. 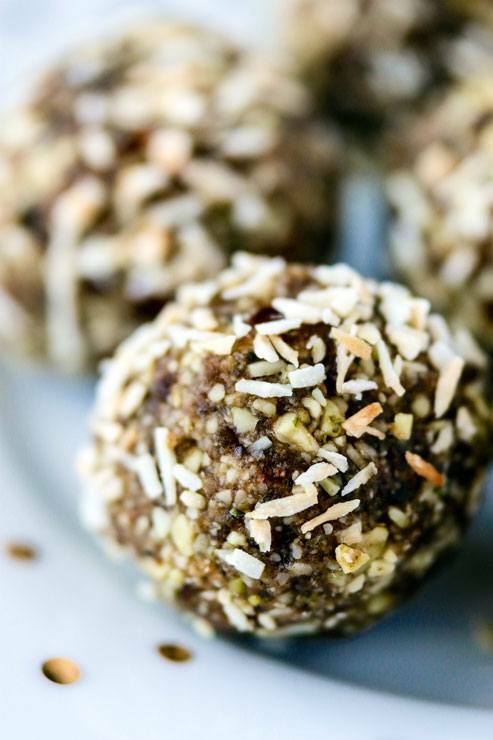 They’re no-bake, meaning that you simply combine the ingredients, roll them into balls, and chill to set. You can even make a double batch and freeze one for later. A basic food processor runs about $50 for a small version up to $300-$400 for higher-end models. If you choose a small version that is less than 4 cups, then you might have to make smaller batches or process your ingredients in two batches. The best option is a food processor that is at least 7 cups. I recommend either the Cuisinart or the Breville Sous Chef. In addition to a food processor, you are going to need ingredients! I recommend NOW Foods brand for nuts, seeds, and flavorings like cocoa powder, Nature’s Delight medjool dates, and Bob’s Red Mill for gluten-free flours. Since Energy Bites are usually raw, meaning they do not need baking, they use ingredients that are safe to eat without baking. Here is my basic Energy Bites recipe, which can be easily modified based on your preferences or the ingredients you have on hand. 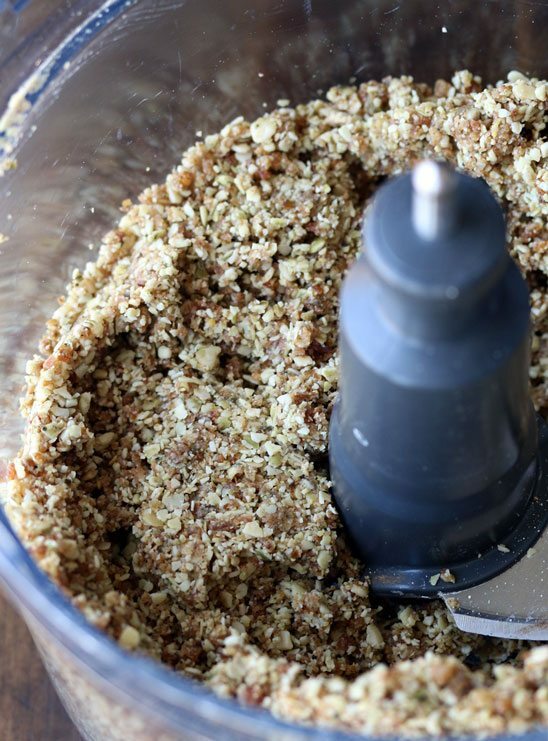 Combine the ingredients in the base of a food processor and process on high until completely mixed, about 1 minute total. Use your hands to form the mixture into a ball with a diameter of approximately 1-inch. You'll have enough mixture to make about a dozen energy bites. Place the energy bites in the fridge to set, about 30 minutes. Serve cold or at room temperature. Leftovers will last up to 2 weeks in the fridge. With this basic formula, you can see how versatile Energy Bites are and how many different flavors you can make. Also, they are naturally gluten-free and vegan, and can be adapted to meet the needs of people who might have food allergies. Feel free to get creative, especially after you’ve made the recipes in my free e-book and have a feel for what you like. 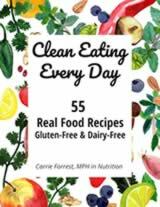 Carrie Forrest is the creator of Clean Eating Kitchen, a blog featuring gluten- and dairy-free recipes. Carrie has a masters degree in public health nutrition. Most importantly, she is a woman who is using real food and healthy living habits to heal from chronic migraines, autoimmune disease, hormone imbalance, and anxiety. Carrie is also the host of the brand-new Clean Eating for Women podcast. You can find her on Facebook at “Clean Eating Carrie” , Pinterest, and Instagram @carriecleaneating. Just sent you an email with the ebook, Cindy. Not sure why it wouldn’t download for you, but I’ll check it out right now! Apologies! I loathe coconut; would butter or olive oil work as a substitute? Hi Sandy! Great question. You could definitely use a different fat source instead of coconut. I would recommend peanut butter or almond butter as a great alternative to coconut oil.